A huge bounty of assets that are being worked on for Star Citizen have leaked to the public. An unknown person, likely connected with Cloud Imperium Games in some way had a link to those assets, though it’s now been taken down. 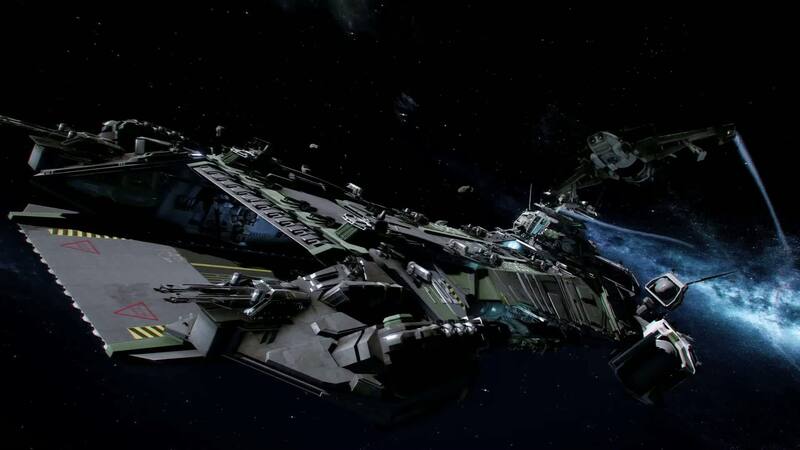 48GB of Star Citizen assets leak to the public, and are now being explored by many. [Update] I’ve been informed by someone in the comments that something very interesting, and quite unfortunate happened. It appears that a community manager from Cloud Imperium Games hastily posted some photos of WIP assets that unfortunately contained enough of the CDN link to be accessible by some very clever fans. This led to the subsequent leaking of the mentioned assets. So, then, it was a indeed a mistake, though one that I would imagine won’t be repeated again. This is a very important lesson we’ve learned, sanitize those links and your photos before posting them so that no information you don’t want released stays safe. Thanks to Soleith in the comments for this good information. Despite the quick reactions on the part of Cloud Imperium Games, those 48GB assets are still out there circulating and being looked at. Being a CryEngine game, it’s possible to load them, if you can get your hands on them, into the CryEngine editor and take a look. Just be prepared to look at some very incomplete work. Also, probably due to in-house design tools, they don’t necessarily import 100% correctly. Leaks are always quite the conundrum with the opportunities they present. There can be a lot of great juicy information hiding inside, but at the same time, do we really want to know that right now? A general shift towards instant gratification presupposes that we want to know everything as soon as possible. Certainly we don’t want to be disappointed when unfinished models don’t quite appear to be what the general gaming public deem to be “good”. There is also potentially a legal issue in the future, though I don’t foresee that happening in this case, especially with the very open development process and communication that they foster. Enthusiasts and budding developers are interested for other reasons, of course. What’s inside is potentially a map for how to conduct high-quality work. It can be a fantastic glimpse into some of the riches being put into Star Citizen. If you’re brave enough, check out the video below that shows off some not so finished ships.